While we are a Brighton SEO agency we work with clients all over the world. 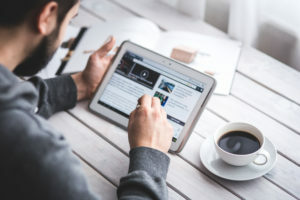 Increased visitors and greater lead generation are vital to making a business successful, but many people are unsure about how to go about doing this. Trying to figure out the best SEO strategy for your business can be time-consuming and daunting. If you are looking to increase your web presence without throwing money away with poor SEO companies you need to consider what things make the best SEO companies. The best SEO companies will offer a range of products including SEO, social marketing, content creation and internet marketing. Some companies will go further and offer detailed business analysis to ensure that you are making the most of your traffic and optimisation. The content created should be SEO optimised but also engaging for visitorand aimed at the market your business is targeting. No good SEO agency can offer guaranteed results but they should have a plan and a timeline to get your business results. So before you choose a company you should consider the success they have had in the past and how they can get the best results for you and your business. Our Brighton SEO agency is focused on customer service and results. Our aim is to take the pressure off you when it comes to achieving high search engine rankings. The world of SEO is constantly changing due to the ever increasing frequency of changes to search engine algorithms. The company that you choose should be aware of these changes before you are and should adjust your SEO campaign to suit. Yes, we do that! So what is all the fuss about with SEO services? Well basically any good SEO agency should drive traffic to your business through organic means. This means that the traffic hitting your website comes from the search engine(s) based on the keywords you have targeted. Organic traffic not only increase the traffic to your site, but this is what keeps your business growing. As a leading expert Brighton SEO agency, we know that organic traffic is what can make or break your business. If you have a good search engine rank you will get more visitors which generally translates into more sales. Investing in organic traffic is a must for any online business. – Keyword targeting. Identifying the keywords for your business based on what customers are most likely to search for. 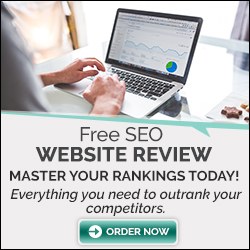 – Website SEO analysis and recommendations – These take an in-depth look at your website and determine what needs to be done to ensure it has a higher rank on the search engines. – Link building – Yes it is vitally important and these links need to be high quality website links from other authority websites in your niche or that are really important general websites . – Content optimisation – This consists of website content creation for SEO AND for end users and some of it may well be targeted at social media now as well as just your website. – Competitor analysis – This is where the company will look at your competitors and determine what needs to be done to copy or beat their SEO strategies. Website traffic monitoring – Here we will determine where your traffic is coming from and how targeted the visitors are. Based in Brighton, which is one of the UK’s busiest digital centres, we can offer you all of the above and more. Our experience in local, national and international SEO is ever expanding. We understand business as well as technology and we speak your language. While technical jargon seems important often it’s just confusing, we would rather discuss what you need and then work with you to hit your business goals. If you are not getting enough traffic through search engines results then working with a good SEO agency isn’t a nice to have, it’s an essential part of your business marketing. Visit Here for more information on International SEO Agency .